Cristão Batista Regular, é graduado em Ciência da Computação pela Universidade Federal Rural do Semi-Árido. Atualmente cursando Mestrado em Computação na UFERSA/UERN. É Web Engineer na 10up, uma agência web americana que presta serviços para grandes players do mundo como Microsoft, Uber e outros. I recently joined the Udacity Self Driving Car Nanodegree. The nanodegree is amazing and I’m really enjoying taking it. The nanodegree is comprised of several projects and the first project (and the simplest one) is to build a pipeline to identify lanes on a road. Here I’m gonna present my solution to this project. The code is written in Python and I’m using the OpenCV library. The full code is available in a python notebook in my Github. Identifying lane lines is a common and simple task that self driving cars need to perform. There are a bunch of techniques out there. Since this is the first project, we’re suppose to build a more simpler approach. Our goal here is to identify straight lines in order to “fit” left and right lane markings. This approach works well when a car is driving straight but it starts to perform badly on curves (and you’ll see an example of this at the end of this article). Before digging into each step taken, let me summarize what I’m doing in order to identify the lanes markings. Next, I apply a technique called color thresholding to select pixels whose color intensity values are between the given color range. For example, if we want to select only white regions of the image, we could look for pixels with RGB values of (255,255,255) since it represents white. However, there are various levels of white and if we only look for the “full” white we would be missing tons of pixels in the image. A better approach is to get pixels within a given range like (200,200,200) to (255,255,255). The sequence of images below shows the result of applying two color masks to get yellow and white lane markings. The last image is the two masked combined. I then use the combined mask to get only the pixels of interest in the original image. The image on the left is the result after applying the Gaussian filter which basically blurs the image. The goal of applying the Gaussian filter is to remove noise and avoid noisy edges to be detected. Compare the images below, you should be able to see that noisy pixels around the lane markings have been smoothed out. Now that I have filtered out most of the pixels of the image that I’m not interest in, I run the canny edge detection algorithm. Basically it uses the gradient of the image with a low and high threshold parameters to find edges. If you’re interest in learning more about Canny Edge check out this link. I used 50 and 150 for the low and high threshold respectively. The canny edge algorithm returns a binary image with white pixels belonging to the edges the algorithm detected. There are still some unwanted edges found in the image, but since the camera is always in a fixed position we can simply define a region of interest and discard everything outside this region. Cool! with a region of interest I got only pixels belonging to the lane markings! The next steps is to find actual line points from this image. Initially I was using lower values for the Max Line Length, but increasing it to a higher value improved the line detection as it was able to “connect” the dashed white lane markings. Bellow is the output of the raw lines detected plotted onto the original image. If slope is positive (as y increases, x increases as well), the line belongs to the right lane. If the slope is negative (as y increases, x decreases), the line belongs to the left lane. Once the lines are properly grouped, I use line the points to find a best fit line using the least square method. In python it’s possible to easily calculate that by using np.polyfit(). This function will return the coeficientes of the line equation (y = ax + b). With this equation I can easily plot a line from the bottom the of region of interest to the top of it. The image below shows the final output of the pipeline, previous steps are also shown for better understanding. This video is more challenging because it contain curves. Since we’re only using straight lines the solution does not perform very well, but it is still able to detect the lane lines. Straight Lines aren’t able to detect lane lines properly in curves. One potential solution is to use quadratic functions to fit the lane markings. The current pipeline always assume that lane markings are either yellow or white. By parameter tuning it should be possible to completely get rid of color masks and use only edge detection. Use some sort of memory to average the current line with previous lines in order to make the detected lines more stable. Muitas pessoas me perguntam como é trabalhar remotamente, e já algum tempo que eu procuro reservar um tempo para escrever este post. Pois bem, finalmente arranjei um tempo (6 horas de espera em um aeroporto). Tanto o trabalho remoto como a oportunidade de trabalhar para empresas do exterior, seja remoto ou não, tem atraído o interesse de muita gente, principalmente na área de computação. Neste post vou tentar explicar um pouco como funciona esse modelo de trabalho, baseado principalmente na minha experiência e também em relatos de colegas que trabalham para outras empresas. Para quem quer ler sobre como comecei a trabalhar remotamente, recomendo a leitura do artigo Serviço Público, Home-Office e a 10up. Como larguei o serviço público para trabalhar para os gringos. GraphQL is a emerging technology developed internally by Facebook and open-sourced right after. It is aimed to be a replacement of the REST API and more and more developers are buying the idea. GraphQL poses a declarative way of fetching and update data and thus simplifying the process of doing so on the front-end. Dealing with the server side of a GraphQL stack might be a bit more complex than building REST API endpoints, but the benefit is worth the challenge and fortunately there are several libraries out there that can help you build GraphQL servers. Without further ado, let’s get to the review. Serviço Público, Home-Office e a 10up. Como larguei o serviço público para trabalhar para os gringos. O objetivo inicial deste post era falar um pouco sobre como é trabalhar no formato home-office na 10up (uma agência web americana), porém vi que tinha muita coisa que poderia ser compartilhada sobre todo o processo de entrevistas e transição, que inclui um pedido de demissão de um cargo público “estável” em uma Universidade federal. Por este motivo o post sobre como é trabalhar na 10up e no estilo home-office ficará para outro dia. Há muito tempo, nos anos em que eu descobri que computação seria a área que eu seguiria, iniciei um blog focado em Linux. 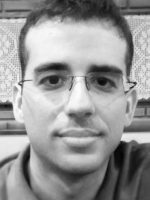 Meses mais tarde conheci um outro blogueiro também da área e decidimos criar o blog I/O Tecnologia. O projeto durou por alguns bons anos e teve até bons resultados, chegando a ter parceria com Olhar Digital, prêmios e até posts patrocinados. Tínhamos uma média de acessos razoável e foi lá que eu lançei meus primeiros cursos em vídeo aulas: Um mini-curso de Shell Script e o Curso de C, que juntos já somam mais de 100 mil visualizações. No auge tínhamos 3 autores fixos e alguns convidados com uma média 1 post por dia. Infelizmente o projeto foi ficando de lado e hoje a única coisa que restou dele foi o domínio que é usado para endereços de email dos seus respectivos criadores. A criação desse blog foi estipulado como meta para o ano de 2017. Dentre os meus objetivos principais estão compartilhar conhecimento e minhas experiências como Web Engineer (ou Desenvolvedor Web como chamam aqui no Brasil…) e também um pouco do que já estudei e ainda estudo na área acadêmica a nível de Graduação e Mestrado em Ciência da Computação.